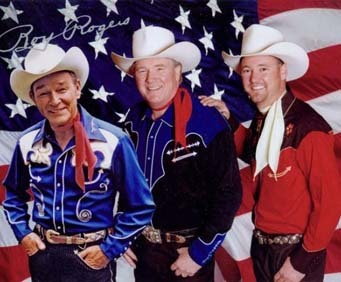 As of the end of 2013, Roy 'Dusty' Rogers Jr & The High Riders are no longer performing in Branson. It is unknown if they will return to Branson. 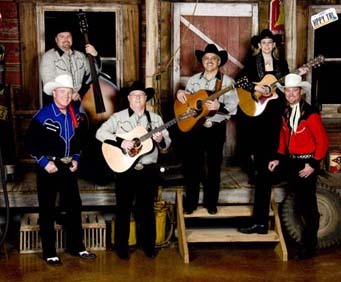 The young and old are sure to be captivated by the terrifically talented Roy 'Dusty' Rogers Jr & the High Riders! 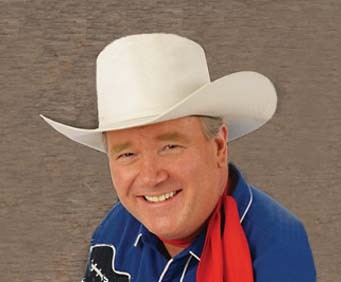 Dusty is the son of the King of Cowboys, Roy Rogers, and continues his father's legacy in his endearing live tribute performances. Classic western music is featured in the show including such classics as Ghost Riders in the Sky, Blue Shadows on the Trail, and Tumblin' Tumbleweeds. To add to the spectacular music, Dusty tells moving stories about his childhood with Roy and Dale, his father and mother. To add to the spectacular music, Dusty yodels like his legendary dad. Dusty's son, Dustin Roy Rogers, has also joined in the family tradition, performing more contemporary cowboy tunes. You'll be reminded of the youthful Roy Rogers when you see and hear Dustin. It's a precious opportunity to see father and son shining together on stage. With the fabulous three part harmonies, the charming High Riders band, and the various touching tributes to Roy, Dale, Veterans, and others, you are bound to have a memorable experience. Enjoy the country: Happy Trails, gospel: Power in the Blood, and bluegrass: Man of Constant Sorrow, as you spend time with the son of the greatest cowboy ever. When Christmas comes around, Dusty and the boys join in the celebration! Sing along as the group strums out gospel classics and other familiar melodies of the holidays. Decked out in their holiday outfits, amidst festive decorations these cowboy serenades will fill you with comfort and joy. 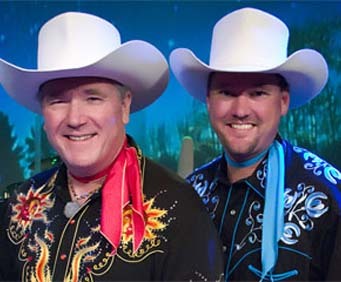 You're in for a treat when you celebrate Christmas with Roy 'Dusty' Rogers Jr. & the High Riders! We have been to see your show every year since you moved to branson. We wouldn't miss it! This is the best entertainment in branson. No glitz or glamour, just down home singing and friendly people. We love it! Thanks for being there! Saw dusty and the highriders at the double d. Ranch in nebraska. The show was superb. Dusty is do like his dad. Wish he would have done some yodeling. Don't let the memories fade away dusty, keep up the good work knew you mom and dad personally. I have l00's of letters from your mom. She helped me find the lord. She was so patient. I'm sure when she got a letter from me in her heart she probably thought not again. Yet she was kind of enough to always stay in touch. Saw your folks personally several times. Had lunch with your mom these are always treasured memories in my heart. Glad they are continuing the legacy!